“Wonderbox” – a new non-gaming facility for the Paradise City casino resort (pictured) in South Korea – is due to be launched on March 31, confirmed Paradise Co Ltd, one of the promoters of the venue, in an email to GGRAsia in response to our enquiry. Wonderbox is described by the resort as an “indoor family amusement park” based around the theme of a “night-time fair”. It is said to include carnival-style games and several amusement facilities, including a bungee drop, a Ferris wheel, a carousel, and a circular ride branded as “Mega Mix”. Paradise City – launched in April 2017, and which has a casino that is open only to foreigners – is located near Seoul’s main air hub, Incheon International Airport. 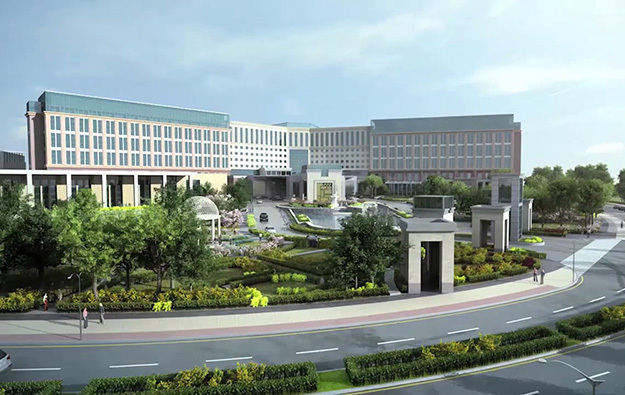 The casino resort complex is promoted by a venture called Paradise Sega Sammy Co Ltd, a tie up between Japanese conglomerate Sega Sammy Holdings Inc and South Korean gaming firm Paradise Co.
Paradise City’s phase-one, second stage opened on September 21. In November it was announced that the Wonderbox theme park would open at the casino resort in the first half of 2019. A one-day ticket to Wonderbox is to cost KRW28,000 (US$24.80) for adults and KRW20,000 per child, according to the resort. In its fourth-quarter results, Paradise Co said that the quarterly net loss of Paradise Sega Sammy had widened to KRW42.46 billion, compared to KRW3.1 billion in fourth-quarter 2017. Paradise Co also noted that Paradise City had set a record quarterly high for casino drop – i.e., the amount wagered by players before deduction of prizes. Such quarterly casino sales at Paradise City were KRW71.80 billion (US$63.3 million), an increase of 16.6 percent on the nearly KRW61.60-billion casino drop recorded in the fourth quarter 2017.